Ironhaus Productions OZ: PAST to PRESENT - Kabuto Mushi MKII & Mini Mushi PVC figures by the Godbeast MINI-REVIEW! 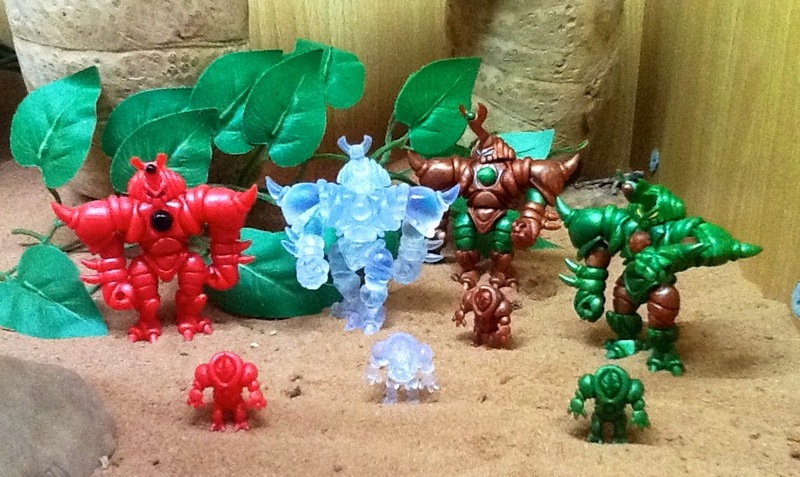 PAST to PRESENT - Kabuto Mushi MKII & Mini Mushi PVC figures by the Godbeast MINI-REVIEW! We witnessed the arrival of the new and exciting Kabuto Mushi MKII and Mini Mushi PVC figures by the Godbeast debuting early this year on 3/1/14. The Kabuto Mushi MKII completely sold out in lightning fast timing on first hour or so of its release, and it's no surprise really as it's quite a spectacular figure all round. Accompanying the release of the larger Kabuto Mushi MKII were the Mini Mushi and theres still some Mini Mushi packs available at the Godbeast's shop in case you haven't picked a set up yet, but be quick as some are showing low stock. The Kabuto Mushi set foot on Aussie soil. 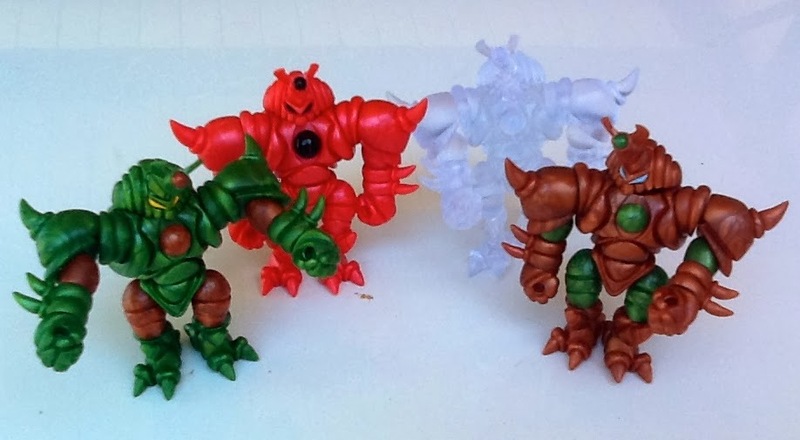 Kabuto Mushi MKII is made up of 26 total parts that have the same Glyos sockets making them fully Glyos compatible. After all, they're produced at the very same Onell Design toy factory where Glyos magic happens. The Kabuto Mushi MKII stands approx. 3.5" tall and was available in 4 PVC colours for the initial release; metallic pearlescent colours in green, red and brown as well as stealth translucent. They sold for USD $10 each, which is a great price for such a large and solid piece. He also includes an armour piece on his back that doubles as an extra head as a bonus! Whats even cooler is that its a reversible head with a different face on either side. Its obvious that these were made with the intention of being highly customisable which I find innovative and appealing. Both sides of the reversible, bonus head. The result of a quick play around customising the Kabuto Mushi MKII yielded some fun results and was surprisingly easy to do. 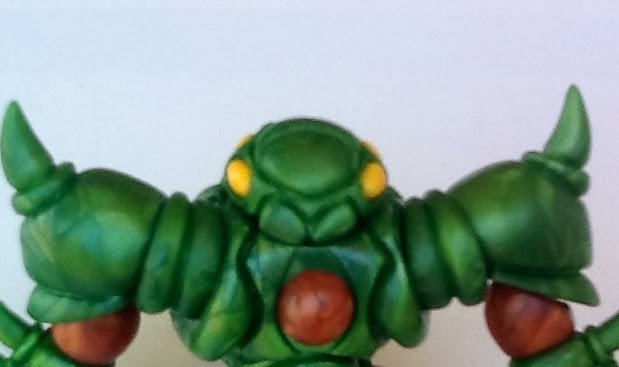 So it becomes clear that with multiple Kabuto Mushi MKII, or with any Glyos figure such as Argen (a recent release at Onell for which is a direct colour match to the metallic green seen here) its easy to get creative and start customising right away. This is seriously one amazing figure! As if that wasn't cool enough, theres still the Mini Mushi too. Mini Mushi are available in 4-pack 'swarms' for USD $8 each and come in the same variety of colours as their larger counterparts but are available in either mixed colours (as seen above) or 4 of the same colour for army building! 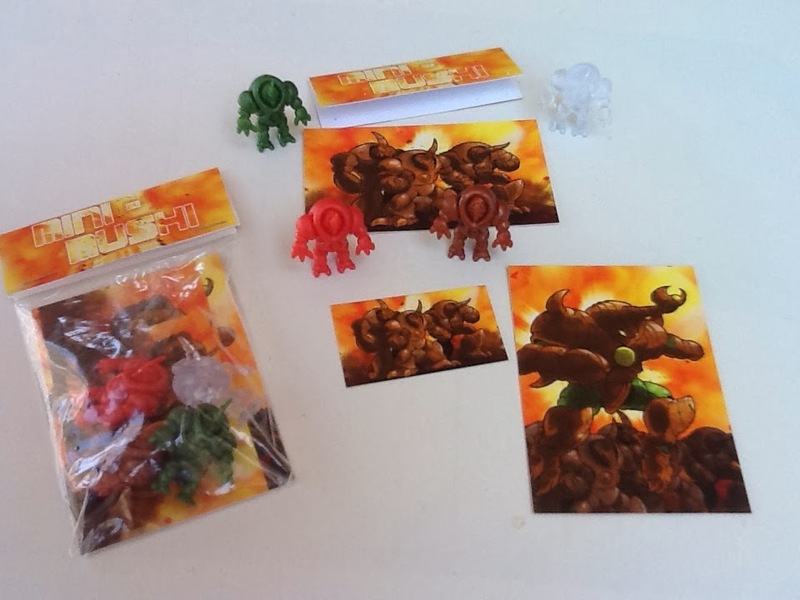 They come bagged with header card and 3 art cards, as well as the four figures themselves. Unlike the Kabuto Mushi MKII, the Mini Mushi isn't articulated, and stands at around1" tall. He's a great little figure and has some nice proportions and detailing and makes the perfect companion to the Kabuto Mushi MKII's. 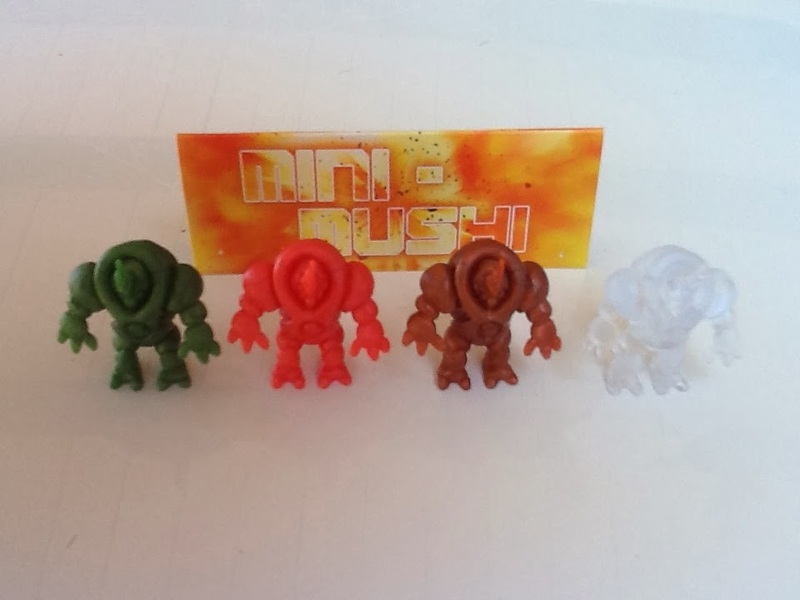 Mini Mushi PVC in the four available colours so far, metallic pearlescent Green/red/brown & stealth translucent. So, there you have my mini-review of these amazing new PVC figures from the Godbeast. I'm looking forward to what lies ahed for these bad boys, and fingers crossed we get some new colours and maybe even some weapons soon, or perhaps the wings (as seen below) will be cast in PVC? If not, I'll just have to settle for some of the resin wings once they're available again in the the Godbeast's shop. Either way, I'm loving these guys so far and excited for what lies ahead. Keep an eye on the Godbeast's Blog and stay tuned here for more updates when it happens! 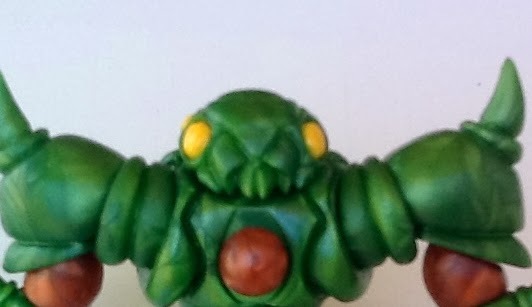 A Pic from the Godbeast's blog showing off the amazing Kabuto Mushi MKII complete with hand made resin wings. Stunning!